It's officially starting to feel like spring at least if not summer. It's been sunny and warm out more often than not this week. The leaves have appeared on the trees in the last few days. I'm finding myself wanting to listen to J-pop again and have cracked out some of my old music. I'm listening to Hirosue Ryoko right now, on random with MAX, Zard, and some other stuff. 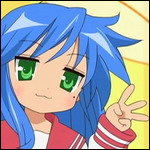 I've been watching a show recently called Lucky Star. It's an anime that's basically a cross between Azumanga Daioh and Genshiken. There is this one girl who is a huge otaku and she's always giving her friends grief or being picked on by them depending. There are a lot of little anime references in it (some of which I probably don't get), lots of Bonta-kun, and what seems to be actual anime theme songs that they karaoke during the ending credits. It also has a pretty cool opening theme. It even has a couple of DS games, Lucky Star: Moe Drill which seems to be a brain-age style game, and the soon to be released sequel Shin Lucky * Star: Moe Drill Tabidachi, listed as an adventure game. OMG!! I'm translating the endings to WtPC! Yay! If there are more blocks of text, there can't be much. This script should be wrapped up soon. 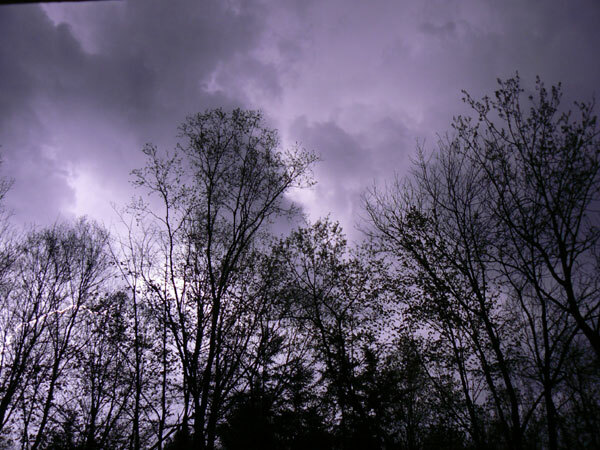 We had a small lightening storm this evening and I had my camera on me so I tried to grab a few shots of the sky. I took some long shutter shots, 4-8 seconds in an attempt to capture one of the random bolts in the sky. In this image you can see a bolt in the lower left-hand corner amidst a beautifully lit purple sky. This was my best shot by far. Time is sort of whizzing by in a strange unstoppable way. I keep feeling like there are things I'm forgetting, but I'm not going to dwell on it. Some really cool things going on. WtPC continues to march on. I got a couple more small script blocks which were easy to handle. I really think the script translation will be done soon at this rate. I took this weekend off to work on a project with one of my friends that we have wanted to work on more for quite a while. 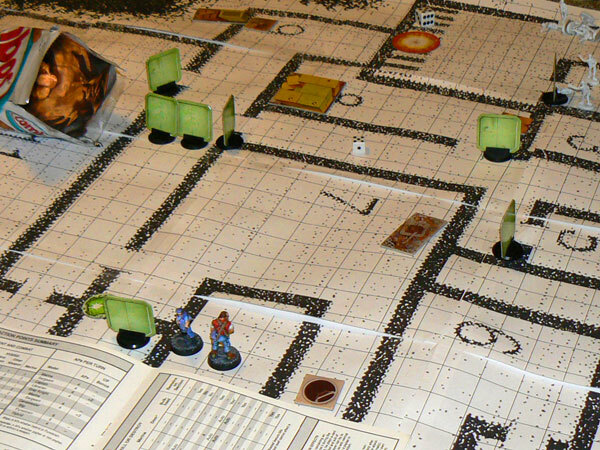 It's a miniature game adapted from Space Hulk rules that is based on an unnamed zombie video game franchise. Today I printed out a large map based on the interior of a mansion, gridded to 28mm for miniatures. My friend and I played a couple of games on this board, stealing accessories such as doors, rubble, and barrels from SH. Below is a picture of the results. The game is starting to "feel" right a little bit, at least for the non-zombie player. One of the challenges facing us is to make it the feel same for the zombie player, but I think we are on the right track. Hopefully when we are done, we will have a really nice set or rules for characters using various weapons and a wide range of enemy types as well as a good campaign or two. Tomorrow is probably the last day we will work on it for a while though, so I'm hoping to at least have the basis for one scenario that plays well for both players. I started watching Death Note recently. Holy crap is that a cool series. It's about a high school student who picks up a notebook left by a death god that allows you to kill people simply by writing their name in the book and thinking of their face. The boy happens to be both brilliant and a little nuts and decides to "purge" the world of all bad people. It's both intense and dramatic in a slightly cerebral sort of way. After watching the first episode, I wasn't sure how I felt about it, and I didn't know where it was going to go, but as soon as I saw the second episode I was totally hooked. I watched the remaining episodes in 2 days. I can't wait to see what happens next. I recenlty enrolled to have a portion of my electric bill pay for local farm methane projects. The program is called cow power. I urge anyone in Vermont who gets power from CVPS to consider converting at least a portion of your bill to cow power. This program reduces reliance on non-renewable energy, provides a new income stream to participating farmers, and helps reduce some of the water quality impacts of farming. You can find more information here, and enroll online. Making some progress on WtPC. As I expected, one of the recent blocks was quite large, the thrid largest text block so far weighing in a 40K. I'm just about done with it. Not sure where that will put me on progress, but I'm only expecting about 10 more blocks before the end. I won't really know until I get them though. I got a really nice camera recently with some money I made on eBay. It's a Panasonic Lumix DMC-FZ7. 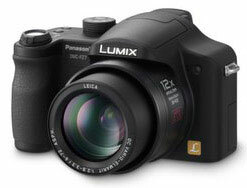 It's 6 Megapixels, 12x zoom, with a lot of nice manual features for photography enthusiasts. Not a professional camera, but a full featured point and shoot with a small SLR-style body. I purchased it for it's hardware Mega O.I.S. Optical Image Stabilizer for long range shots, as well as it's high ISO range including 80, 100, 200 and 400, 800 and 1,600. Other features that were important to me included continuous shooting modes at 3 and 2 frames per second, fast shutter response and shot to shot speed, auto bracketing, adjustable aperture, adjustable manual exposure, and manual and preset white balance settings. The camera is also small and light for it's class. Drawbacks include a low-res LCD screen and some noise at higher ISOs, but I'm willing to deal with these issues, especially considering the great features and the good deal I got on eBay. I'm very happy with my purchase.